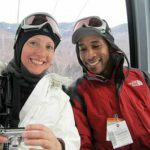 It's just a few hours to the slopes and apres-ski fun of New Hampshire's Loon Mountain. "We had 10 days to prepare. 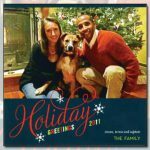 I downloaded every article I could find online about adopting and training a rescue dog. Then we read them over and over again." 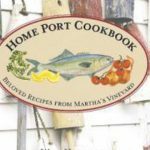 I'm hardly ever at a loss for a pecan pie or a tartar sauce recipe, but once I got my hands on "Home Port Cookbook," I couldn't put it down. At the Slice of Life Cafe, traditional favorites punctuated by creative variations have held a rapt audience for more than seven years. When Mary Kenworth met her husband Jackson - a chef - more than 20 years ago, she had no intention of getting involved in the restaurant business. When Geoff Rose and Jonathan Bernstein launched Our Island Club, they sought to uphold a sense of community and economic autonomy threatened by financial trends. This week, I met with acclaimed chef A.J. Black, owner of Il Tesoro in Edgartown, to learn more about the restaurant's upcoming events and specials. By the end of September, I've developed an unstoppable craving for a quick-fix getaway to tide me over until our first real vacation. From Irish pub to gourmet take-out, the railroad style storefront at 16 Kennebec Avenue in Oak Bluffs has embodied a diverse rotation of eateries over the years. In 1985, the year I graduated from high school, John Hughes released the iconic coming-of-age movie, "The Breakfast Club. I sat down to interview Peg Jackson, the animated and outspoken matriarch of the family behind the success of the Ocean View and Plane View restaurants. Without a doubt, Charles Ingalls ("Pa" of Little House on the Prairie) was a hard working man, but even he would have to tip his dusty hat to the owners of the Little House Café. When Pierre and Susan Guérin bought The Sweet Life Cafe in 2007, they had some big shoes to fill. Right around this time every summer, I realize it's been weeks since I've left the two-mile microcosm in Oak Bluffs that has become my entire world. We all scream for ice cream — even if we're not chasing a Good Humor truck down the block. Diner purists may disapprove, but I intend to refute the premise that all diners are greasy-spoon hash houses in prefabricated aluminum buildings. Flatbread is the new restaurant at Nectar's, the nightclub located near the M.
Since my move to Martha's Vineyard in 1994, I've lived in five of the Island's six unique towns.